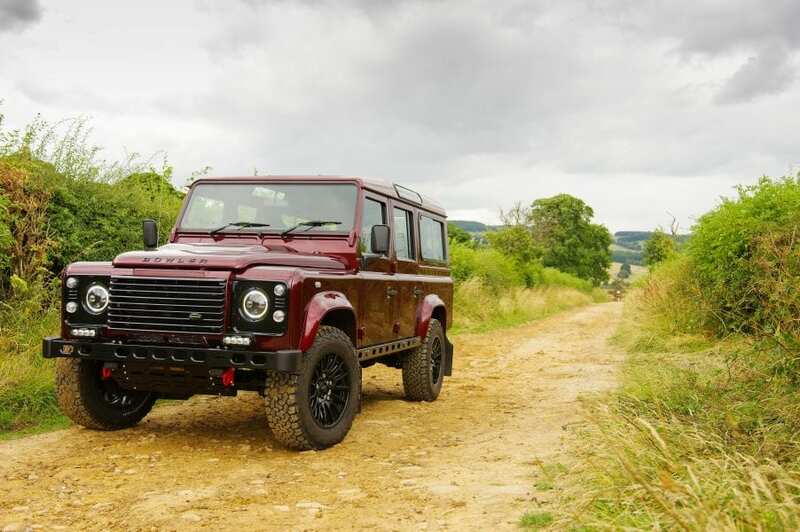 Bowler Motorsport continues to convert road going Land Rover Defenders. We can supply a fully kitted out vehicle along with kits and parts to enhance your Defender. Such as tuning your engine up to almost 175bhp, or replacing your suspension with our Bowler Fast Road Suspension System. It uses a bespoke version of a Bilstein damper that has unique Bowler damper settings and spring rates, and works in parallel with unique Bowler springs that are made in the UK. In addition, we replace the anti roll bars, bushes and steering damper, so that all elements of the suspension work together and provide a ride that is sporty but not harsh, that delivers improved road holding and responsiveness, allowing you to achieve much better ride and comfort. Our range of parts are extensive; click here to view a full list and costs.